Kerry Gallagher is the St. John’s Prep Assistant Principal for Teaching and Learning, ConnectSafely Director of Education, an EdSurge Columnist, ASCD Emerging Leader, a TEDx and Keynote Speaker, and an attorney. I was fortunate to do an Ignite at ISTE in 2016 at the same time as Kerry. She was so amazing that they asked her to come back and do her presentation again before the keynote in front of 6,000 people. She was amazing! Below are excerpts from the podcast that was recorded several months ago. I’m a mom of two girls; Shannon is 9 and loves to write and create. Morgan is 6 years old and is wild and adventurous. I’m married 13 years and am lucky enough to be close to my parents, my siblings, and their spouses. We go skiing together in New Hampshire every weekend in the winter. Being a mom and an educator, I feel like I won the lottery. It’s a great combination of things I love to do with the people I love to be with. I think of learning in two different ways; learning because you want to versus learning because you have to. I was a competitive dancer and skier. That learning was physical and kinesthetic and I was passionate about it. There was also some competition that made it fun to work together with my teammates. I love that kind of challenge in learning. I was learning because I wanted to. The other way is what I learned in school; learning because I had to. I was really good at playing the game of school. Give me homework. I can do it well and get my grade. You tell me I have a test coming and I know how to study and prepare for it, take it, and get my grade. When I think about the way I am planning learning for teachers or students in the classroom, I really want them to feel the way I felt about dancing and skiing. I want them to feel that passion and that energy and drive. I want schools to build passion in our learners so they want to do better and improve themselves. There are two reasons to become a teacher. 1: Because you love the subject matter like chemistry, or early American history, or math. 2: Because you are passionate about working with children. No matter which was your reason for becoming a teacher, if you can challenge yourself to be both passionate about what you are teaching and who you are teaching, then that’s where the magic happens. If your learners know that you desperately care for them and you have this deep fire in your belly for what you teach, then you’ll hook them just because they see your passion. They will want to feel that way too. Connecting to their everyday lives is a really easy way to do this. Just modeling that enthusiasm is a great way to start. My major was politics. In college, I worked on campaigns, studied philosophy, and took on a second major in education focusing on education policy. When it came time for me to pick an internship during senior year, I decided to do student teaching. Quickly I discovered I was in the right place. I was happy to be in a room full of teenagers talking, laughing, and getting creative with them. The school I did my student teaching is the first school I ended up working in. I taught high school civics, U.S. history, and law and ethics that the first year. I was totally exhausted but loved it. I only taught at that school for a year because I got an offer from a school in Massachusetts. It was a good move for me to be closer to my family. For the next 12 years, I taught at the middle school and high school levels and learned the interdisciplinary approach and mindset. I am now at St. John’s Prep where the teachers are exploring and investigating interdisciplinary approaches. For the last three years, before moving into the assistant principal role, I was a digital learning specialist. 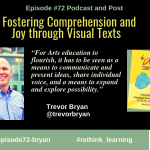 The word digital was included because we need to include digital devices in the learning process so that our students can succeed in the world we live in. 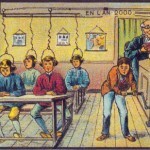 The new way of teaching should be encouraged. The best approach for professional learning is to expose teachers to new ideas and point them to resources that they may not know about, or to give them opportunities to learn from other teachers doing innovative strategies. Luckily, my school supports me traveling to other schools and out of state conferences to see these different models in action. I can bring these new ideas and models back to my teachers. Then I can work with the teachers to help them reach their goals. I shouldn’t be the one telling them what their goals are. They should drive their own professional learning. My TedTalk was a few years ago. I was sort of considered one of the pioneers of the paperless classroom a few years ago and I used that model with high school freshmen and sophomores. We were not a 1:1 classroom but they had access to a few iPads and their own smartphones. We did not go paperless because we were anti-paper. We went paperless because limiting students to using only paper felt very constraining. It limits what you can share and how creative you can be. If a student wanted to use paper, she could. It’s just now one more tool in the toolbox of resources and platforms we can use to learn together. In the paperless model, students were encouraged to learn collaboratively. When they were ready to demonstrate what they learned, they were accountable as an individual. We had a strong classroom community where we were all responsible for lifting everyone up and learning together. At the end of the day, students had to prove their own learning with their own creations. Technology made all of that possible. I didn’t even anticipate how awesome it would be. We worked through things collaboratively and were constantly iterating together. That was what built that strong classroom community. When I shared at conferences, I would have my students join me and present with me. People who were skeptical about how well it would work would ask the kids, “Be honest. How often did you get distracted by your devices in the classroom? Were you able to stay focused in class?” When the kids would answer, they would say, “We didn’t have time to get distracted, we were too busy. We used our phones to do research and figure out things together.” Then they would ask me, “Did you ever have to take their phones away?” My answer was always, “Never, because that was their tool. 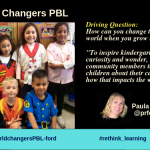 That was how they found information, how they communicated with me, others, and one another.” When they are invested in the learning process, it is more rewarding for a teacher. It was not about me. It was about them. 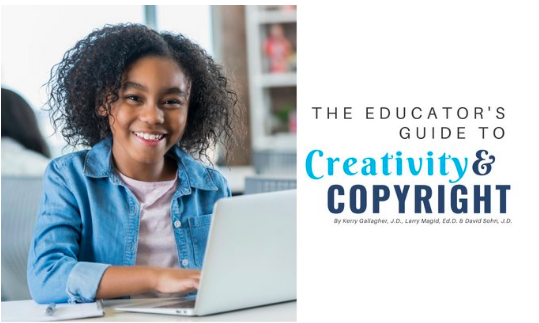 The CEO of Connect Safely, Larry Magid, and I met at a think tank where there were policy people, legal experts, and advocates were talking about the role of technology in schools. They wanted to bring in a teacher’s voice. At the meeting, we discussed the balance of digital creativity, tracking student learning, and student privacy. I became involved in that world and then became the Director of Education at ConnectSafely. It is powerful and meaningful work and I do love my work in all of the areas. Luckily, they are all connected to help me understand the global view of where education should be going. 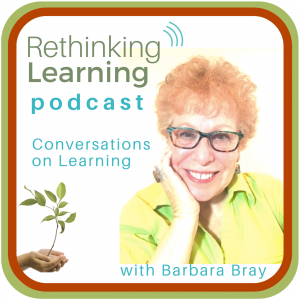 This is Barbara: Kerry is now Assistant Principal for Teaching and Learning at St. John’s Prep since we did this podcast several months ago. 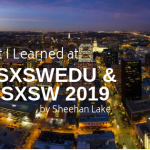 Kerry is excited for #sxswedu19! 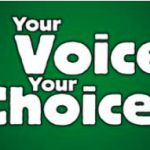 Please vote for her session about Changing School in the Age of Artifical Intelligence. Kerry Gallagher is a passionate award-winning educator. 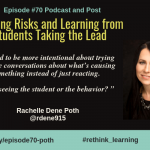 Trained as both a teacher and attorney, she understands that a combination of effective pedagogy, policy, school culture, and global connections are necessary to make meaningful progress that puts learners first. Kerry has experience as a classroom teacher, education trainer, writer, TEDx and keynote speaker, and policy advocate. 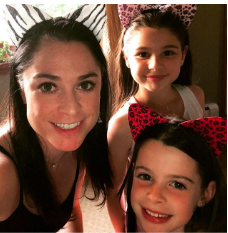 Kerry is the Director of K-12 Education for ConnectSafely.org, in addition to her full-time role as Assistant Principal for Teaching and Learning at St. John’s Prep in Danvers, Massachusetts. She was a Digital Learning Specialist when we did the podcast. St. John’s is a 1:1 iPad school serving 1500 students in grades 6-12. Kerry taught middle and high school history in Bring Your Own Device public schools for over 13 years. 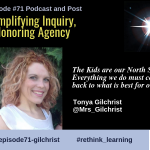 She was best known for her paperless collaborative classroom model and has helped schools create student-driven technology integration programs. Kerry received the 2014 Yale-Lynn Hall Teacher Action Research Prize for her submission on the use of mobile devices for a paperless public school classroom and is a 2015 PBS LearningMedia Digital Innovator. Also in 2015, the Family Online Safety Institute recognized her with the Outstanding Achievement Award and she was a MassCUE Featured Educator. Kerry’s blog, Start With a Question, was named among EdTech K-12’s 50 Must-Read Blogs for 2016. 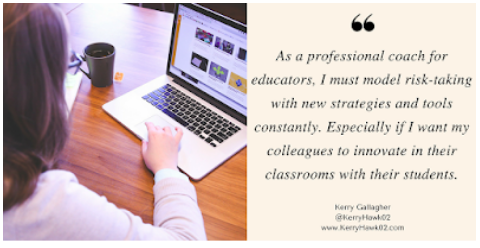 Most recently, Kerry was the opening Ignite speaker for ISTE’s 2016 conference, is a 2016 ASCD Emerging Leader, and was awarded the 2016 MassCUE Pathfinder Award for her leadership in education technology in the Commonwealth of Massachusetts. 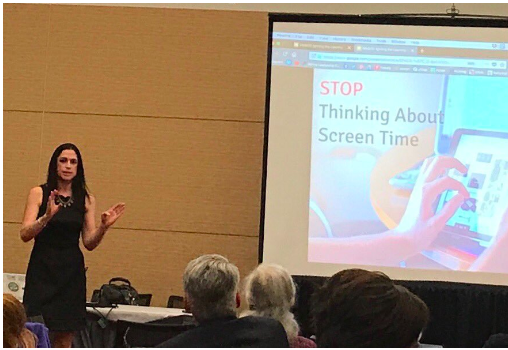 Kerry speaks and presents often about the effective and safe use of technology in the classroom at conference locations that have included Harvard Law School, Yale School of Management, and Stanford University. In addition to writing for ConnectSafely, Kerry is an EdSurge columnist. She holds a B.A. in Politics from Saint Anselm College and J.D. from Massachusetts School of Law.